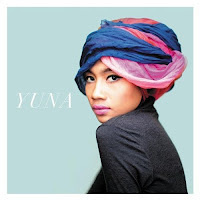 Malaysian singer/songwriter Yuna released her self-titled album this week! Those of us in the States, we can find it on sale HERE. Now, for those of you not in the know, Yuna has one of those pure voices that just captures your ear. Check out the album and enjoy. Also, if you get the opportunity to see her live, don't walk, run to the show. You will without a doubt enjoy yourself. GIG ALERT!!! Yuna will be at (le) poisson rouge on Thursday, June 7. It'll cost you $14. Doors are at 6:30PM.